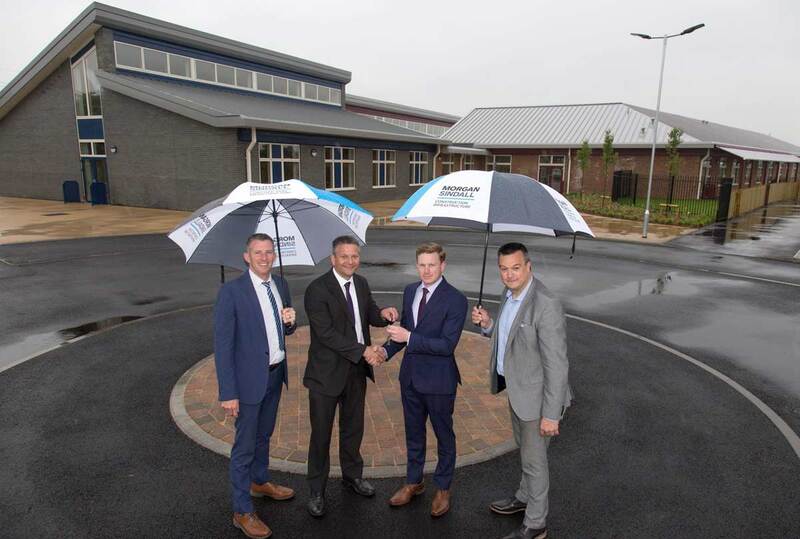 Work at a new £5.6 million primary school in Christchurch has officially completed in time for the start of the new academic year in September. Completion of Twynham Primary School for Dorset County Council was marked with a celebratory handover, hosted by Morgan Sindall, the national construction company that delivered the school. Jon Daines, area director at Morgan Sindall, said, “We’re so pleased to have handed over Twynham Primary School to Dorset County Council and the Christchurch community. We hope all the staff and children will be delighted with their new home. The primary school will initially accommodate 150 pupils from reception through to year four and will eventually cater for 420 pupils from reception through to year six. It has 14 classrooms, a large hall, studio and administrative areas as well as a learning resource zone. Morgan Sindall has also furnished the school with a multi-use games area, a sports pitch and a wildlife area.